Is your interest rate not where you want it? 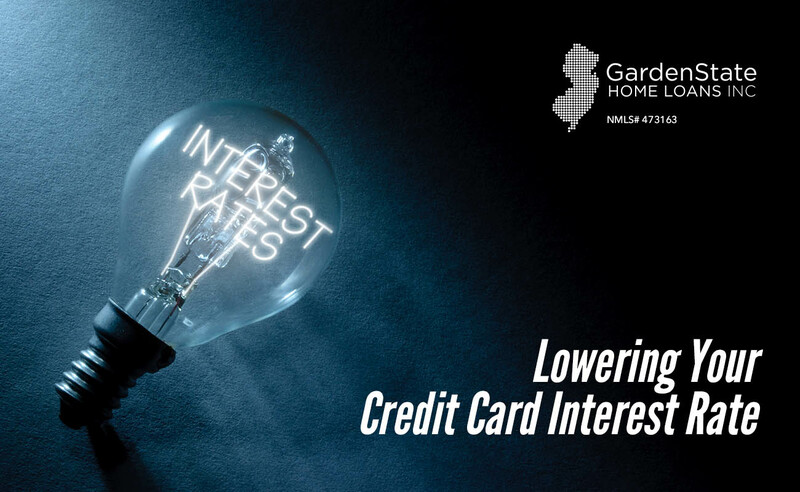 Here’s how to lower the interest rate on your credit card. Before you call your credit card company, you should understand your current situation. Take a look at your current credit terms, including your grace period, statement due date, and current balance. You should also check your credit as well. Having a good credit history gives you more leverage to negotiate. Being prepared helps you to better evaluate the options your credit card company may offer you. If necessary, you may want to build your credit so you look more creditworthy to your card company. When doing this, try to keep your credit utilization rate, or the percentage of your credit limit you’re using, 30% or under. As with any business, credit card companies and banks need to compete with others to acquire more business. This means they need to stay competitive with rates. If you find a similar card to yours with a different company and better rates, take note of it. Be sure to mention the card’s name, company, and terms when you reach out to your company. Subtle or not-so-subtle threats to open a credit card with a new company can work well for your negotiating power. If you didn’t get a rate decrease after your first call, don’t give up. Keep making consistent payments on your card for at least six months. Companies are more willing to offer lower rates when they see you have been able to consistently pay your debts. Credit card debt can be very worrisome. The average American household has roughly $16,425 in credit card debt. If you are one of these people and wish to consolidate your debt in 2018, here are a few ways that can help. The average American has 2.6 credit cards. One way to consolidate credit card debt is to use a balance transfer card. A balance credit card is meant to help reduce the interest a person is paying each month. Instead of paying several monthly payments, moving your balances to one card means you only have to pay one monthly installment. Most transfer credit cards offer an introductory annual percentage rate (APR) of 0%, typically for a period of up to 21 months. This 0% APR lets you focus on paying your balance without having any additional interest added on. Make sure to have a plan in place once the introductory period is over. The debt avalanche method is one of the best ways to minimize the amount you’re paying each month in interest. This method is done by focusing on the credit card that has the highest APR first. List out all your credit cards on a sheet of paper, starting with the highest APR and working your way down to the lowest. Each month, pay the amount budgeted for the card with the highest APR. Once that card is paid off, move onto the next card on the list. Instead of focusing on the card with the highest APR, the debt snowball method focuses on the lowest balance first. For this, list your cards with the lowest balance first and work your way up to the highest balance. This method provides motivation to keep going. It allows you to see the progress you’re making faster. This may seem like an obvious one. However, many people end up with credit card debt because they purchase things they can’t afford in the moment. Before buying something, ask yourself if it’s something that you can afford right at that moment. Do you have enough money in your bank account to cover the charge? If not, you may want to rethink your purchase. Credit counseling is used to help debt settlement through education, budgeting, and other tools to help reduce and ultimately eliminate debt. Credit counselors will look at your total financial situation to help you create a plan to pay off your debt, including a money management plan and a debt pay down plan. They can also provide free resources and workshops related to money management. It is important to be completely upfront about your situation, including what you owe and where you owe it. Be forward about your all your current expenses and your income. 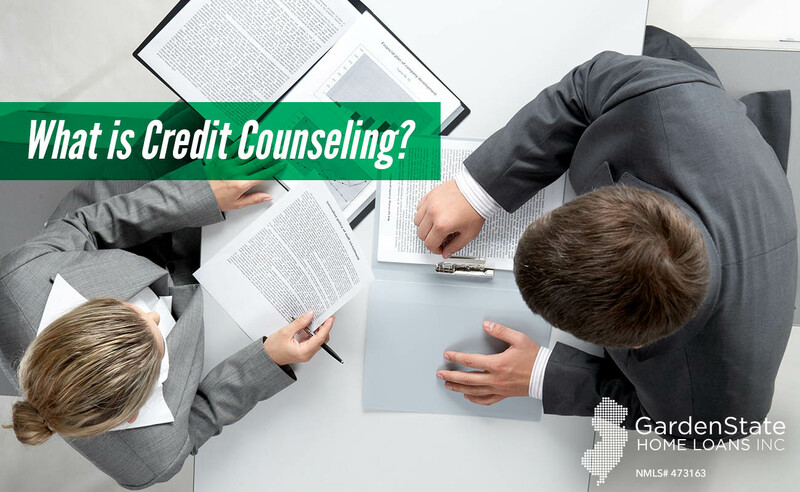 However, for a credit counselor to really help, you must be completely honest about your situation. A credit counselor may recommend a debt management plan. A debt management plans usually involves placing your finances with a company in monthly installments, who in turn, passes those along to your creditors. This means that you will usually stop paying your creditors. Instead, you make one monthly payment to the debt management company and they send your payment to the creditors. A debt management company may also contact your creditors to negotiate lower interest rates. Debt management plans may also cost you money. It’s possible that you will be charged a monthly fee or an initiation fee to participate in such programs. However, a reputable company will disclose all fees up front, so you know how much it will cost you before starting a program. If they don’t, be sure to ask about the fees before enrolling in a program. Does credit counseling affect your credit score? Credit counseling does not directly affect your credit score. In fact, credit counseling helps you gain control of your credit and keep it under control in the future through budgeting and financial management education. Once the debt is repaid, credit counseling may be shown on your credit report. However, even if it does, there might not be any impact on your score. https://www.gardenstateloans.com/wp-content/uploads/2017/12/credit-counseling.jpg 800 1300 Dori Gelman https://www.gardenstateloans.com/wp-content/uploads/2017/05/fb_logo-300x141.jpg Dori Gelman2017-12-19 09:30:032017-12-19 09:09:12What is Credit Counseling? What Happens When You Bounce a Check? Financial mistakes happen. One of the most frustrating is a bounced check. A check bounces when there is not enough money in your checking account to cover the payment. 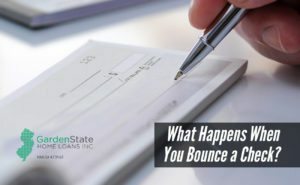 Why does a check bounce? There are several reasons that a check can bounce. An automatic payment may have been deducted from your account, your paycheck was later than usual, or your account was locked after using your debit card are common reasons a check may bounce. What if you realize your check is going to bounce? If you realize your check is going to bounce, but it hasn’t yet, you may be able to stop it. Once you realize, put money into your account immediately. The fastest way to get money into your account is to go to the bank and put in the cash in person. It usually takes a few days for a check to hit your account, so you have a little time to correct your mistake. What fees do you incur? A bounced check costs you. Firstly, you’ll have to pay an overdraft charge or a non-sufficient funds fee to your bank. This usually amounts to $35. Additionally, you’ll most likely have to pay a fee to the party you wrote the check to as they will get a fee for depositing bad checks. They will pass off the charge to you. If the party tries to re-deposit the check and you have not funded your account, you’ll have to pay another round of fees. While a bad check doesn’t necessarily show up on your credit report or lower your credit score, it can. However, if your check was for a loan payment, your credit can suffer, as the bounced check means the payment wasn’t made. This means that you might end up missing or being late for a monthly payment. If you leave these payments unpaid, the collection agency will likely report the debt to the credit bureaus, which can result in a lower credit score. How do you prevent bounced checks? Balance your account. To balance your account, you need to know how much you have and how much is going to leave your account. Be sure to include any pending payments, outstanding checks, or anything that automatically transfers out of your account. Watch your balance. Sign up for alerts so that you know how much you are spending, and you’ll know about issues before it’s too late. Keep a cushion. Keep extra money in your account in case something unforeseen happens, such as a late paycheck. Pay with a debit card. If you can’t afford something, you’ll know right away with a debit card. This will be especially helpful if you are continuously bouncing checks. https://www.gardenstateloans.com/wp-content/uploads/2017/11/bounced-check.jpg 800 1300 Dori Gelman https://www.gardenstateloans.com/wp-content/uploads/2017/05/fb_logo-300x141.jpg Dori Gelman2017-11-21 09:30:182017-11-21 09:16:32What Happens When You Bounce a Check? If you are having difficulty controlling your spending, it might be a good time to close a credit card. This doesn’t mean you can’t have an occasional splurge. However, if you are having a problem, it’s best to remove the temptation and close the card. If the terms of your card are no longer favorable, it may be a good idea to close a credit card. This might include high annual fees or interest rates. When you close a credit card, you are giving up a line of credit. It can take several weeks for the account to show as closed. Depending on different factors, your credit report may look different as a result of you closing a credit card. 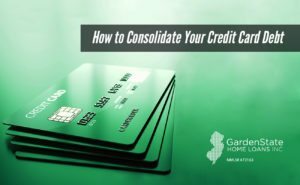 After you close a credit card, you might find that your credit age has changed, your credit utilization ratio has gone up, and that your credit score has decreased. 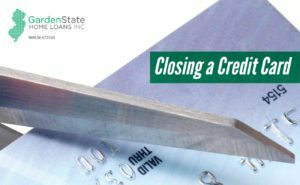 How does a closing a credit card affect your credit score? A credit card isn’t the only thing that goes into your credit score. This means that closing a credit card affects some people more than it does others. Other factors that affect your credit score are payment history, amount of money owed, credit age, new credit, and the type of credit used. Closing a card with a good payment history may lower your credit score significantly. If you are closing your only credit card, this will also hurt your credit score, as this will reduce the types of credit you have. Finally, if you close your only credit card with available credit, this will negatively impact your credit score by decreasing your available credit. Before you close a card, ensure that your account balance is paid in full. Cancel any automatic payments attached to your card, including utility bills, gym memberships, or any subscriptions. To start the process of canceling your credit card, call your credit card company. Verbally verify you no longer have a balance on your card and let the issuer know you are closing the card. Make sure you tell them that you want to permanently close your card. This is often referred to as a hard close. When you close an account, make sure to follow-up with a written letter through the post system. It’s a good idea to have physical proof to document the process, so you have proof of your cancellation if problems arise. Your letter should include a request of confirmation that the account was closed with a $0 balance as well as a request that the credit will report the account as “closed by consumer” to credit bureaus. The last step to closing a credit card is to verify that the account was closed by checking your credit reports. Should You Use Lender Credits? Not everyone has the ability to pay the closing costs. If you are in the position where you are purchasing a home, but are not able to pay the upfront closing costs, you might want to consider lender credits. Lender credits are money given to you from your lender to help cover all of part of your closing costs associated with your home purchase. This can be upwards of several thousand dollars in credit. Afterward, this credit is applied to your mortgage. 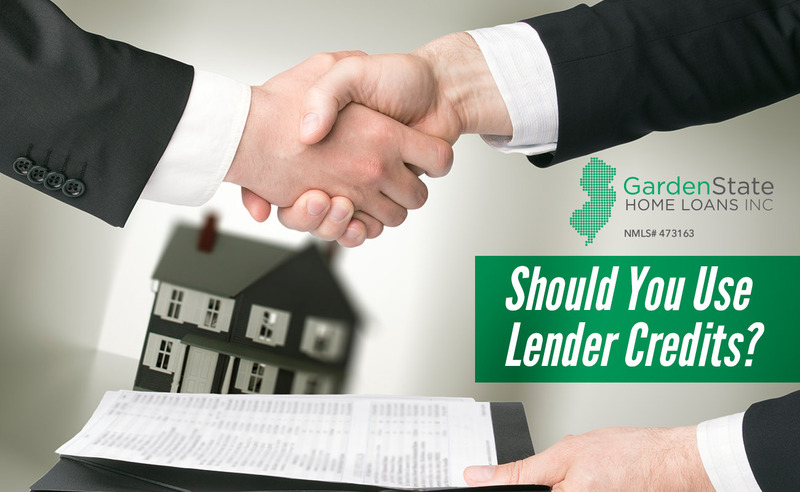 Before choosing to use this option, consider what choosing a lender credit may do to your mortgage. This may seem too good to be true. However, you aren’t receiving free money. When accepting lender credits, mortgage options come with a higher interest rate. Your interest rate may increase slowly, however, it will build up over time. When a borrower receives a lender credit, this means that while they are not paying for closing costs up front, they will pay for them eventually. A lender who gives a borrower a credit for their closing costs will also require a slightly higher interest rate. The higher interest rate ensures that the borrower will pay the lender back during the life of the loan. Why are lender credits beneficial to you? Lenders credits are beneficial for a variety of reasons. Firstly, lender credits can help you to stretch your budget. If after your down payment and all costs associated with the purchase of your home has left you with an empty wallet, a lender credit can help. Additionally, if you don’t plan on staying in your home for a long time, a lender credit can help. The interest rate increase you incur won’t make a difference in the short run and your loan will have little to no fees. 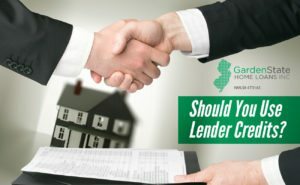 https://www.gardenstateloans.com/wp-content/uploads/2017/11/lender-credits.jpg 800 1300 Dori Gelman https://www.gardenstateloans.com/wp-content/uploads/2017/05/fb_logo-300x141.jpg Dori Gelman2017-11-07 16:30:092017-11-07 13:55:31Should You Use Lender Credits? 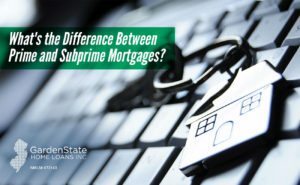 What’s the Difference Between Prime and Subprime Mortgages? There are two major categories for loans for borrowers, prime mortgages and subprime mortgages. Subprime mortgages are designed for people with lower or blemished credit scores. As such, they are riskier for lenders and usually cost the borrower more. A subprime mortgage is a type of loan awarded to those with poor credit histories, usually below 600, but often times, anything below 620 is considered low. These people would otherwise not be able to qualify for conventional mortgages. Subprime borrowers pose a higher risk to lenders. As such, subprime mortgage rates are higher than a prime mortgage to make up for the potential risk to the lenders. There are many different types of subprime mortgages, however, the most common is the adjustable rate mortgage (ARM). An ARM initially charges a fixed interest rate, which then converts to a floating rate. The most known ARMs are a 3/27 ARM and a 2/28 ARM. However, ARMs can be a little misleading, as they have a smaller interest rate at first. This lead to many mortgage foreclosures in 2006. Prime mortgages meet the standards set out by Fannie Mae and Freddie Mac. To be approved for a prime mortgage, borrowers must have a good credit history and an income at least three to four times greater than their mortgage payments. Borrowers with a credit score of 620 – 650 often qualify for a prime mortgage. Prime mortgages also feature rates lower than average. Additionally, prime mortgages usually require borrowers to pay a down payment, which is most commonly 10%, but can be as much as 20%. Fixed rate mortgages are the most common types of prime mortgages. Fixed rate has an interest rate that is stays the same over the loan life. Prime mortgages save borrowers money. This is because their low interest rates lower monthly mortgage rates by hundreds of dollars. Additionally, the down payment requirements give the new homeowners immediate equity value. Furthermore, if the down payment is high enough, the lender won’t require private mortgage insurance, which can lead to even more savings. https://www.gardenstateloans.com/wp-content/uploads/2017/11/prime-and-subprime-mortgage.jpg 800 1300 Dori Gelman https://www.gardenstateloans.com/wp-content/uploads/2017/05/fb_logo-300x141.jpg Dori Gelman2017-11-07 09:30:512017-11-07 09:08:05What's the Difference Between Prime and Subprime Mortgages? A credit freeze, otherwise known as a security freeze, is a tool that allows you to restrict access to your credit report. This makes it more difficult for identity thieves to open new accounts in your name, as most creditors need to see your credit report before they approve a new account. 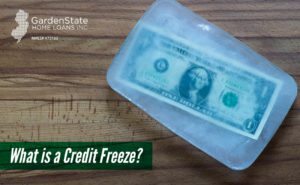 Does a credit freeze affect credit score? A credit freeze does not affect your credit score. Additionally, it does not prevent you from getting your annual credit report, keep you from opening a new account, buying insurance, applying for a job, or renting an apartment, or prevent a thief from making charges to existing accounts. As such, if you are opening a new account, buying insurance, applying for a job, or renting an apartment, you may need to lift your freeze temporarily. The cost and time it takes to do this varies. Furthermore, make sure you are monitoring your bank activity and credit card and insurance statements for fraudulent activity. Can anyone else see your credit report if it is frozen? Yes, but only certain entities can. Your report will be able to be accessed by your existing creditors and any debt collectors working for them. Your credit report is also accessible to any government agencies that need it in response to a court order, a search warrant, or subpoena. How do you place a freeze on your credit report? Fees for this process vary by state, but you’ll most likely pay between $5 – $10. After receiving your freeze request, each company will send you a confirmation number, which contains a unique PIN or password. Make sure to keep this PIN safe, as you will need it to unfreeze your credit report. In most states, a freeze remains in place until you ask the reporting company to lift in. Once the company receives the request to lift the freeze, they must comply in no more than three business days. Costs to lift a freeze varies dependent on the state. https://www.gardenstateloans.com/wp-content/uploads/2017/11/Credit-Freeze.jpg 800 1300 Dori Gelman https://www.gardenstateloans.com/wp-content/uploads/2017/05/fb_logo-300x141.jpg Dori Gelman2017-11-02 09:30:562017-11-02 08:03:13What is a Credit Freeze? Getting a credit card is an important step in life. 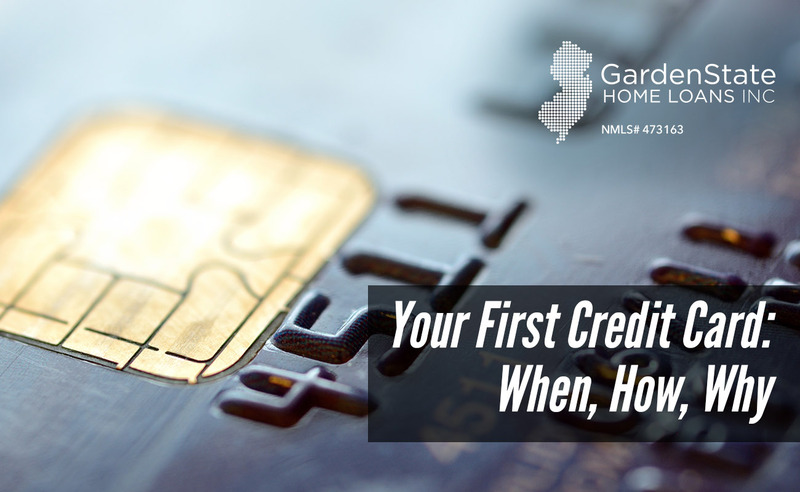 However, before applying for the first card you see, here are some things that you should know. Though it may sound silly, the best time to get a credit card is before you need one. Consider getting a credit card during college or shortly after graduation. If you have already graduated, there are many credit cards that are great for young professional. Before applying for a credit card, understand the credit requirements and choose a card that offers a strong chance of approval. If you have a full-time job, it will be easier to find a credit card. For a first credit card, stick with card intended with fair credit. If you know your credit is good, you can apply for a card intended for people with good credit. 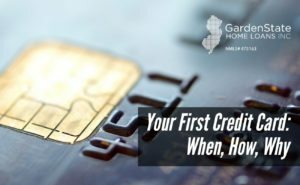 However, if it is your first credit card, it is unlikely that you will get approved for a card that requires excellent credit. You need a credit card to build credit, but you can’t get one without credit history. It’s a bit of a catch-22. Visit the bank where you have your checking account and talk to someone about your lack of credit history. Inform them that you would like to start building one with a credit card. You will most likely get a secured credit card through this. What’s the difference between a secured and unsecured credit card? A secured credit card works much like a debit card but helps you build your credit. Secured credit cards are backed by a cash deposit. This is typically equal to the card’s limit and acts as collateral. Because secured credit cards are backed by a cash deposit, it removes the risk of non-payment. An unsecured credit card is not backed by a cash deposit or any other form of collateral. When accepted for an unsecured credit card, you’ll receive a credit limit based on your income level and credit history. It’s likely that your first card’s limit will be low. Credit scores can range from 300 to 850. The Fair Isaac Corporation set up the first credit scoring system based on credit bureau information, now commonly known as a FICO score. FICO scores are the most commonly used scores. However, there are several other versions and providers of credit scores, such as VantageScore, NextGen, BEACON, and EMPIRICA. You may see differences in your scores as each company uses a different scoring model and algorithm. 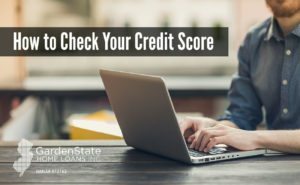 How do mortgage lenders use credit scores? Lenders use credit scores to assess a potential borrower’s credibility. They examine your credit risk in efforts to determine a risk calculation associated with a particular borrower. The higher the credit score, the lower the interest rate. Banks or mortgage lenders legally request credit reports from credit companies. There are a few ways to get your credit score. You can ask your credit card company, purchase your credit report from a credit reporting agency, or get a free credit score from a non-profit provider. Some credit score providers offer ‘’educational’’ credit scores, instead of scores that a lender would use. This is why lenders request credit reports from one of the major reporting bureaus in lieu of asking consumers to submit the reports on their own. The Consumer Financial Protection Bureau (CFPB) published a report on the difference between educational scores and those used by lenders. Major credit card companies and some auto loan companies now provide credit scores to their customers on a monthly basis. You can check your score by logging into your online account or you can find it listed on your monthly statement. This is a good option for low-income earners seeking housing options through HUD (United States Department of Housing and Urban Development). Housing counselors often provide homebuyers with a free credit report and/or score in addition to offering general counseling for housing questions and advice. There are many websites that claim to offer free credit score. There are some who don’t charge you a fee because they may be funded through advertising. Other sites may require you to buy a service to check your score for free. Be careful when choosing the services on these websites. If possible, get referrals from your friends, family, or co-workers. Beware of scams and websites that claim to offer a free credit score but are requesting a payment method in exchange. There are three major nationwide credit reporting agencies – EquifaxⓇ, ExperianⓇ, and TransUnionⓇ. Each agency will provide you with your credit score, free of charge, once per year. They also offer updated credit scores through a paid membership. Lastly, you can get your FICO score directly from myfico.com.